What is a Detox and Why Should You Try One? Intimidated by the detox craze? Everyone seems to be doing some kind of detox. But what the heck does that mean, and does it secretly frighten you? Toxins are everywhere. They’re in environmental pollutants, pesticides, industrial waste, cleaning products, cosmetics, and body care products. And they’re in the foods you eat with preservatives, artificial colors, processed sugars, and rancid oils. They are even if your bottled and filtered water. These toxins affect your body’s immune system, metabolism, skin, and even your mental state. They find a home in your cells and tissues and stay there for years. They gunk up your entire system. Imagine how much better and lighter you will feel after flushing these toxins out of your body. Many environmental toxins are known to cause diseases like cancer, heart disease, and neurological problems. They are also the main culprit behind obesity. Your body has natural detox pathways to continually flush out toxins. But they get overworked and overloaded on a daily basis, which means toxins eventually build up. Detoxing helps your body by getting rid of these built up toxins and giving your natural detox systems a reboot. Toxins stress the immune system. When your immune system isn’t functioning optimally, you get sick and you’re more susceptible to allergies. Doing a detox helps to remove the toxins and strengthen your immune system. Toxins accumulate in your fat cells. They do this protect you. By hiding the toxins in your fat cells, your vital organs are protected. When you release toxins, you shrink your fat cells. Removing the toxic build up will also improve your metabolism and your ability to burn fat. Losing weight will also help protect you from heart disease and diabetes. Aging is exacerbated by free radicals that form from cell oxidation. During a detox, you are naturally getting more anti-oxidants and you’re releasing heavy metals and other toxins that contribute to aging. When you eat anti-oxidant rich foods, they circulate through your body eating up damaging free radicals. Flushing your body of toxic build-up improves your energy. When your brain and muscles are no longer bogged down by toxins, your mental and physical energy is going to skyrocket. When your body’s systems are functioning at full capacity again, you’ll have more energy, you’ll feel better emotionally, and you’ll be able to think more clearly. And you’ll have more tolerance for your kids when their behavior is less than stellar. Your skin is your largest organ. It is there to protect you from invaders, and it takes a lot of abuse. It is exposed to all the environmental toxins in the air and it takes a beating from all the stuff we put on it to keep it clean and beautiful. Most soaps, shampoos, lotions, creams, and makeup contain dangerous chemicals and toxins. The toxins in our food and water also affect our skin. By getting rid of toxins, you’ll be blessed with clearer skin, shinier hair, and stronger nails. When your body is overwhelmed with toxins, it doesn’t function right. You end up with digestive issues, sleep problems, joint pains, brain fog, headaches, and fatigue. Start getting rid of toxins and you’ll start to feel like your old self again. Before we talk about what to do. Let’s talk about what NOT to do. Avoid fads, pills, and potions promising a quick detox. Releasing toxins too quickly can overwhelm your body and make you feel really sick. The best way to detox is to support and strengthen your body’s natural detoxification pathways. If you eat the typical standard American diet, your body is filled with toxins. Most restaurant foods are filled with preservatives, chemicals, unhealthy trans fats, and sodium that damage your body. Most packaged and prepared foods are just as unhealthy. Eat as many unprocessed, whole foods as you can. Pure water flushes toxins from your body. Every cell in your body needs water to function. You should aim to drink 8 glasses of water every day, and more if you are active or out in the hot sun. If you have a dry mouth or feel thirsty, then you are already dehydrated, and dehydration affects all your body’s systems. Vegetables contain many nutrients that help your body detoxify. Stock up on dark leafy greens such as spinach, kale, or collard greens. Also, work in lots of cruciferous veggies like broccoli and cauliflower. If you can’t find or afford fresh vegetables, use frozen vegetables. You can also use canned vegetables when you’re in a pinch. Aim to eat at least 1 serving of vegetables at every meal. Moving your body helps mobilize toxins and send them packing. When you sweat, you excrete toxins. Find some kind of movement you enjoy doing, and do it often. Massages also help mobilize and release toxins from deep within your tissues. Massage can also help release toxins from your lymph glands and strengthen your immune system. You body resets, heals and detoxifies when you are sleeping. Make sleep a priority if you want to detoxify, lose weight, strengthen your immune system, feel better, and look better. Citrus fruits are high in enzymes that help your body to detoxify. Fresh grapefruit, tangerines or oranges also contain vitamin C that can protect your body’s immune system. Drinking fresh, pure citrus juice helps to flush toxins from your digestive tract. Start your day with a cup of warm lemon water. It will naturally stimulate your detoxification pathways. Citrus essential oils are also known to support detoxification. Visit a gym to use its sauna for detoxification. Make sure to drink a lot of water before entering and after exiting a sauna, and be careful not to stay in the room longer than recommended. Regular sauna treatments are a great way to eliminate toxins from your body while relaxing and sweating. Regularly using herbs like cilantro, coriander, garlic, and ginger can help your body rid itself of toxins. In addition to the herbs, you can also use their essential oils to support your detoxification. Essential oils have powerful cleansing and healing properties. Try incorporating lemon, lime, grapefruit, orange, lemongrass, rosemary, cilantro, and clove essential oils to support your body’s natural detoxification systems. If you’re considering a detox or just planning to clean up your diet, you need to stock up on healthy foods and learn to navigate the grocery store. 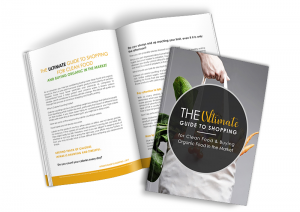 Get your FREE Ultimate Guide to Shopping for Clean Food.